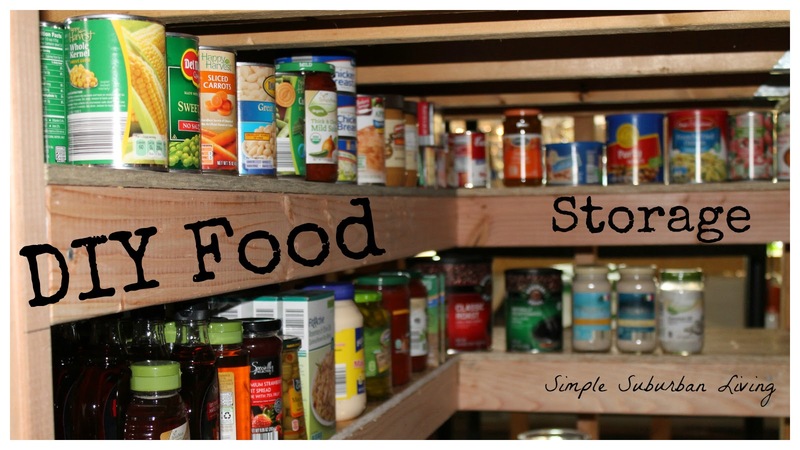 We are using some extra space under the stairs to store our bulk food and pantry items. Since we have been growing more and more of our own food we needed a good place to store it all! The SSL Family Mom has also been cooking and baking almost everything from scratch which means that we have a lot more baking supplies on hand. This space will give us a climate controlled area in our home using some extra space that was just piled with junk. After a few trips to Goodwill the space was cleared out and ready for some shelves. This will be the first in a series of videos and articles about how we are storing food here in our suburban home. The first step I am tackling today is to get the shelves put in a lay out the space to handle the size items that we will most likely be storing. In the future I will continue to work on this area and enclose it with drywall, run electric for lights and outlets, paint the shelves, seal the concrete floor, and add a small dehumidifier to keep the moisture down. The ideal conditions for dry food storage is a humidity level below 15% and temps from 40-70 degrees Fahrenheit (4-21c). The basement here in Michigan is always at about 65 degrees so we are in good shape there but the humidity is much higher in the summertime. This will be the biggest challenge and that is why I want to seal this area off from the rest of the basement and use a dehumidifier to keep the moisture levels down. That will come as a later addition as I said but for now back to getting these shelves setup! I am using all 2X4 construction for the shelf framing for a couple of reasons. This is the cheapest and most readily available type of lumber for us here and also because a 2X4 can hold quite a bit of weight if installed correctly. I probably could have used smaller lumber but in the end these shelves will be able to hold anything I can imagine putting on them. The shelves themselves are made from cheap OSB (oriented Stranded Board) for similar reasons. It is cheap and easily available here and will serve as a good solid shelf for many years. OSB does not do well in high moisture environments but since we are going for climate control here we should be ok. I am using a 16 inch deep shelf which will hold about 4 quart size mason jars as well as most of the other items that we will be storing here. The bottom shelf is the tallest to hold emergency storage buckets (either 5 or 6 gallon). The next shelf can hold any large size canning jars for juices or pickles. The next two shelves are sized for quart size jars and the top for smaller jam jars and canned goods. With this design I should be able to fit 30-60 days worth of food for our family of five.